USGenNet's financial needs have increased! As USGenNet-hosted websites continue to add data, the cost of hosting all these websites increases. USGenNet has recently added additional space, and that has significantly increased our hosting expenses. We need your support now more than ever, and are truly appreciative for every donation! If you are already a USGenNet Patron, we thank you for your support and invite you to become a member or to renew your current membership by submitting a Membership Application/Renewal Form. Don't forget to grab a USGenNet Member graphic! Patrons who contribute $100.00 or more within the membership accounting year are entitled to Sustaining Membership. The (+) sign indicates contributions exceeding the $100.00 membership contribution. Patrons who contribute $20.00 to $99.99 within the membership accounting year year are entitled to Supporting Membership. The (+) sign indicates contributions larger than the $20.00 membership contribution. 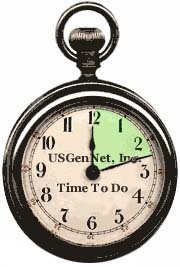 USGenNet is an IRS-approved 501(c)(3) public benefit corporation -- a nonprofit web-hosting service providing historical and genealogical websites on the Internet for nonprofit organizations such as the American Local History Network (ALHN), the USGenWeb Census Project, the American History and Genealogy Project (AHGP) and the USGenWeb Project. USGenNet's nonprofit Articles of Incorporation strictly prohibit any and all forms of commercial abuse.